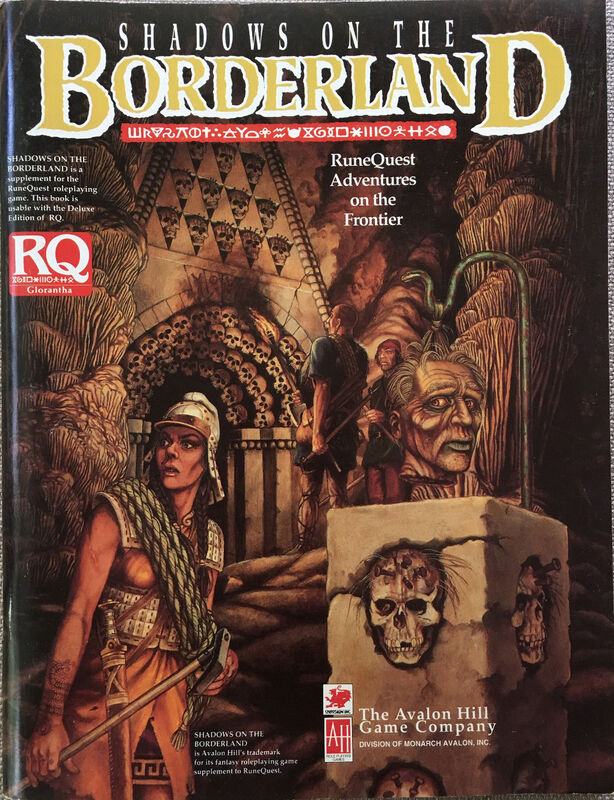 Black Gate » Articles » Chaosium’s Borderlands: Can Playing RPGs Really Make You a Billionaire? Chaosium’s Borderlands: Can Playing RPGs Really Make You a Billionaire? Some of the most treasured possessions in my games library are the boxed adventure supplements published by Chaosium between 1981 – 1986. They include some of the finest adventure gaming products ever made, such as the classic Thieves’ World (1981), Michael Moorcock’s Stormbringer (1981), the brilliant Masks of Nyarlathotep (1984), the Arkham Horror board game (1984), Larry Niven’s Ringworld (1984), the revolutionary King Arthur Pendragon RPG (1985), and H.P. Lovecraft’s Dreamlands (1986). I bought each as it was released, and over the last 30 years I’ve made a concerted effort to pick up spare (i.e non shrink-wrapped) copies whenever I can find them. 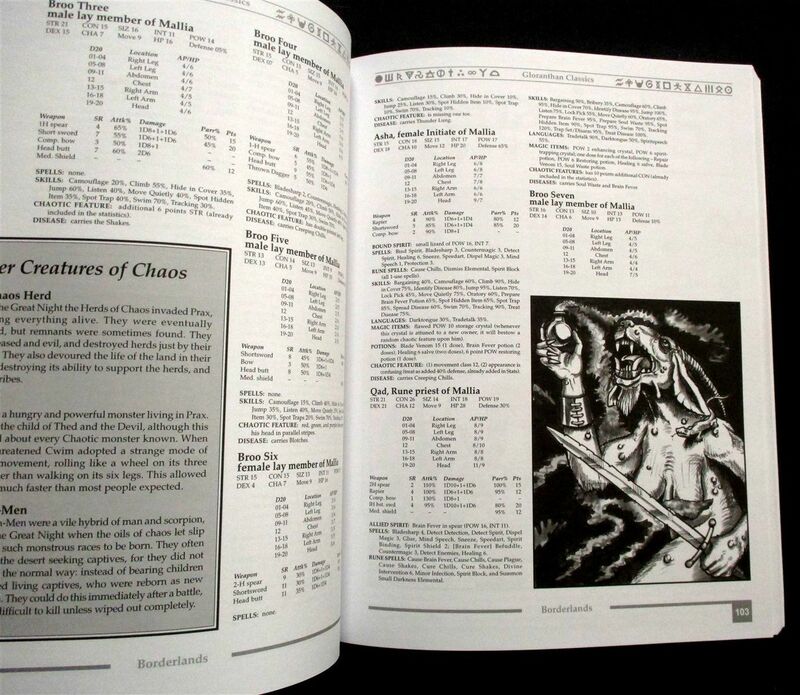 I had to give that up about a decade ago, as prices have skyrocketed… copies of many of Chasoium’s early boxed sets in good condition sell for $200 and up these days. 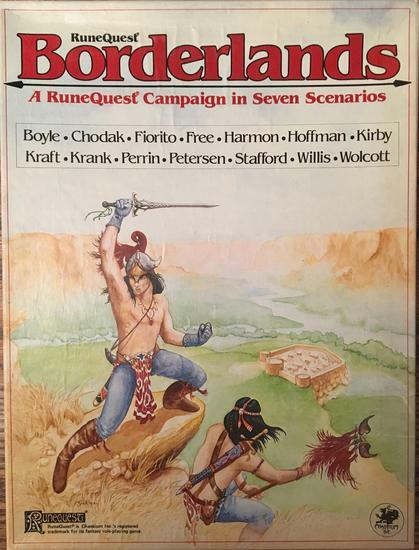 A few years back I was lucky enough to find a decent condition copy of Borderlands, an epic campaign for RuneQuest published in 1982, for 40 bucks — a bargain! — and snatched it up. It’s been sitting next to the big green chair where I write all my BG posts ever since, waiting until I have the time to say a few words about it. 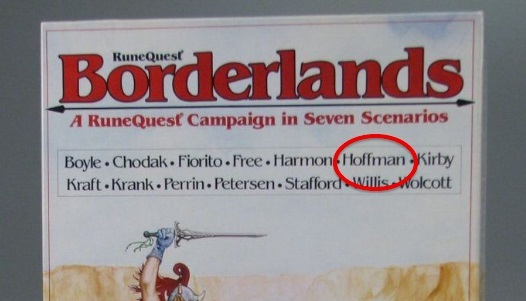 Okay, it’s probably a stretch to ague that working on Borderlands helped make Hoffman a billionaire. But gamers don’t get to touch financial greatness very often; allow us to claim victory when we can. Read the complete article at Geek & Sundry here. Even if the premise of the piece is a bit of hyperbole, I’m still grateful to finally have an excuse to write about Borderlands. 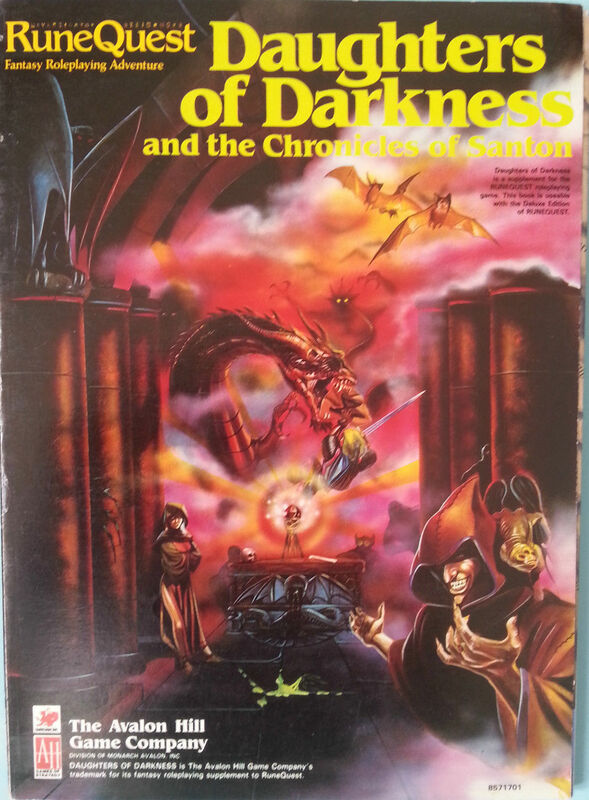 These days classic D&D adventures like The Temple of Elemental Evil and Tomb of Horrors have become near-legendary, but contemporary adventures for competing role playing games like RuneQuest have been largely forgotten. There are still plenty of players of RuneQuest today — witness the successful Sixth Edition by Pete Nash and Lawrence Whitaker, which we covered two years ago — but even they don’t seem to know much about the rich vein of historical material available for players who know where to look. 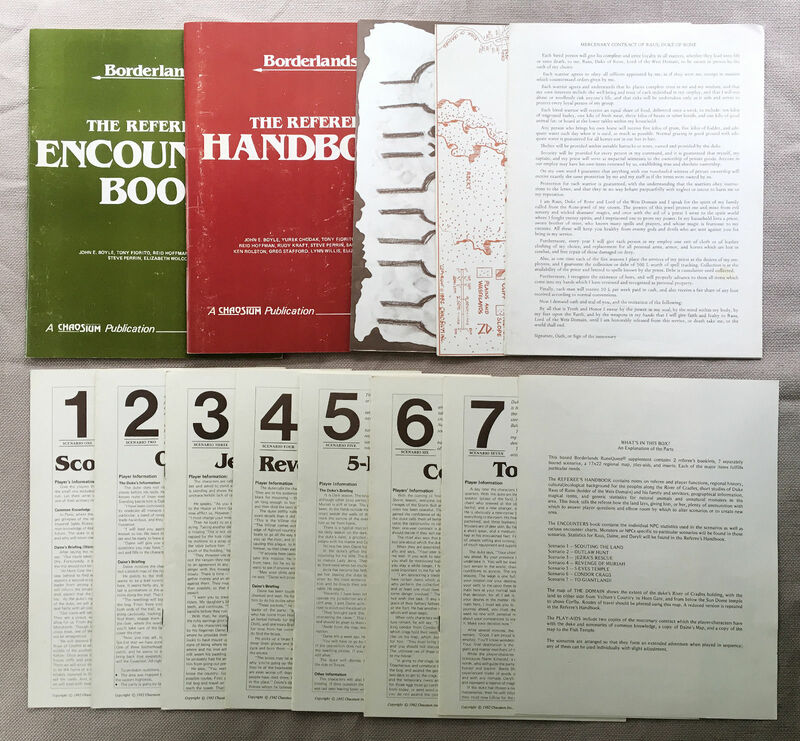 Like all the Chasoium boxed sets of the era, it came absolutely packed with content, including a heavily illustrated, 48-page Referee’s Handbook, a dense 32-page Referee’s Encounter Book, mostly filled with tables, two sets of maps, and seven individually bound, linked scenarios. 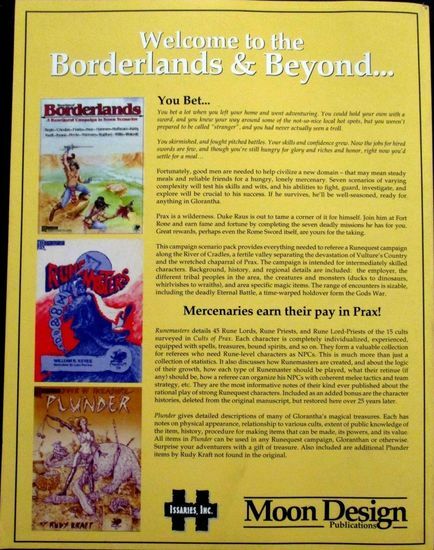 Borderlands is nicely self-contained, and comes with virtually everything you need for a rich adventure-packed campaign. 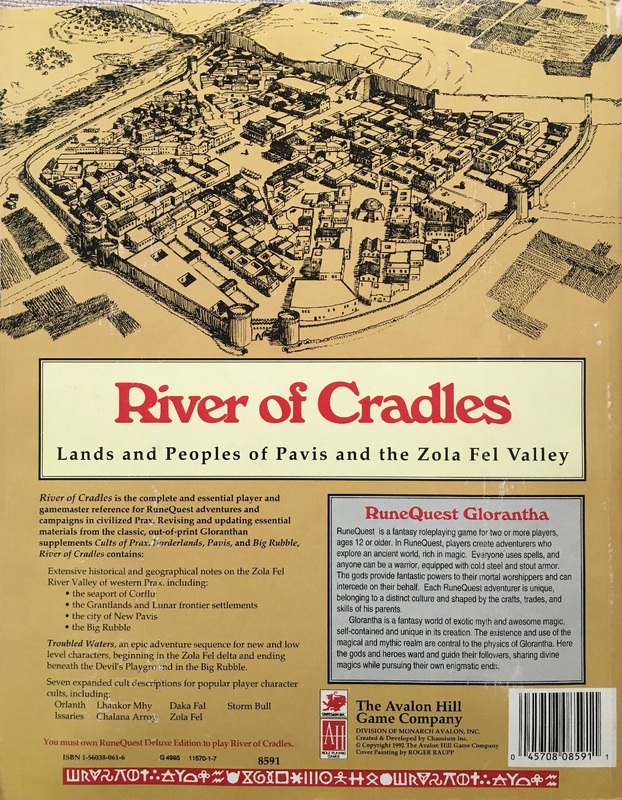 But two years later Avalon Hill, who purchased RuneQuest from Chaosium, released the 174-page River of Cradles supplement, which included a lot of material from Borderlands and other out-of-print supplements, and fleshed out the region nicely. 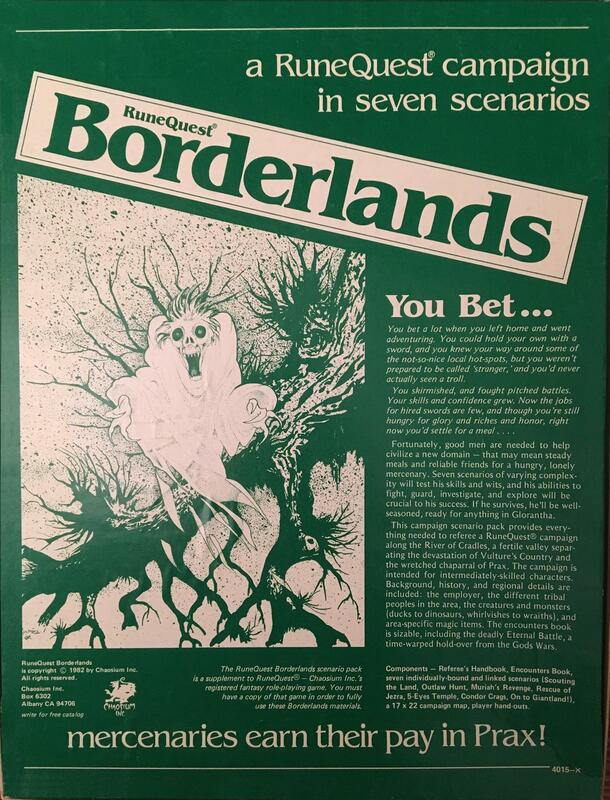 It makes a terrific companion piece to Borderlands — and, just like Borderlands, it came packed with maps, fold-outs, and tons of other content. 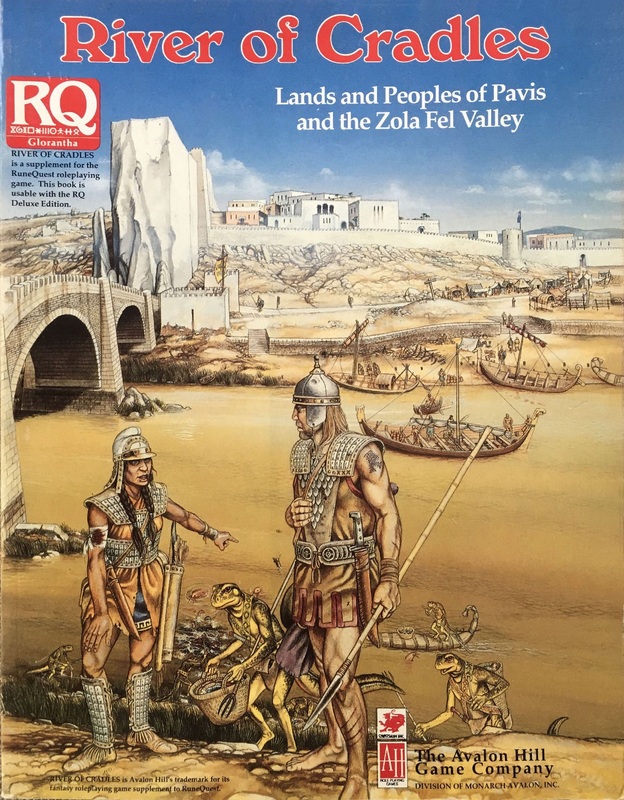 Sadly, Avalon Hill overprinted virtually all of its RuneQuest support material, and copies languished in game shops for years. 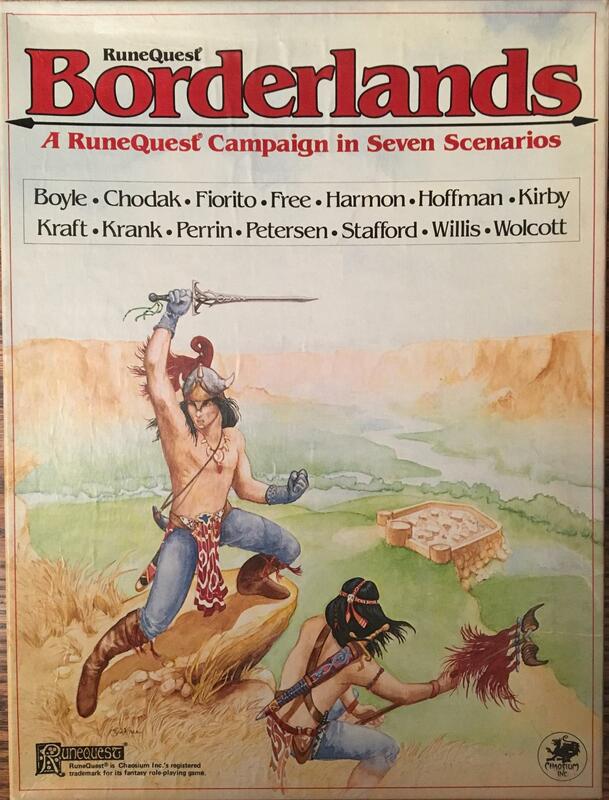 Still, their loss is your gain… Unlike Borderlands, copies of River of Cradles (and their other RuneQuest supplements, such as Eldarad the Lost City, Shadows on the Borderland, Daughters of Darkness, and Sun Country) are still relatively plentiful, and there are usually multiple copies of most of them on eBay on any given day. All are worth a look — although beware. Prices have slowly been creeping up, especially in the last few years. Shop around before you make a purchase. These books are a terrific bargain — and most are still available. Some sellers on eBay are offering copies for cover price, $39.99 — but again, I’d advise you to shop around before making a purchase. The exception is the first, Pavis & Big Rubble, which collects two of the hardest to find boxed sets. That one is almost impossible to find. Here’s a closer look at the Borderlands and Beyond, a massive 303-page tome which repackages Borderlands, Runemasters, and the treasure book Plunder, with a crisp new layout and brand new artwork. 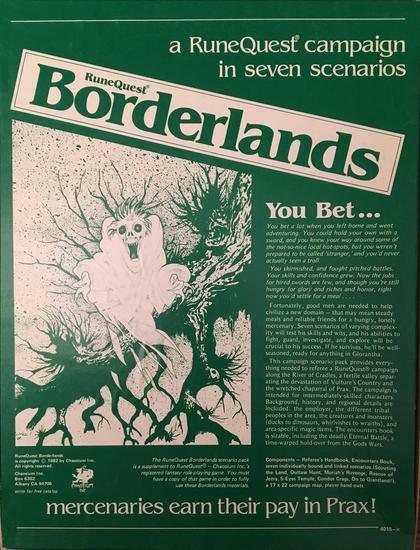 Borderlands was written by a team of writers, including Lynn Willis, Sandy Petersen, Greg Stafford, Steve Perrin and new billionaire Reid Hoffman, and published by Chaosium in 1982. Ah, Borderlands, the RPG scenario pack that taught me about raptors (looking at you, Deinonychus!) long before Jurassic Park. 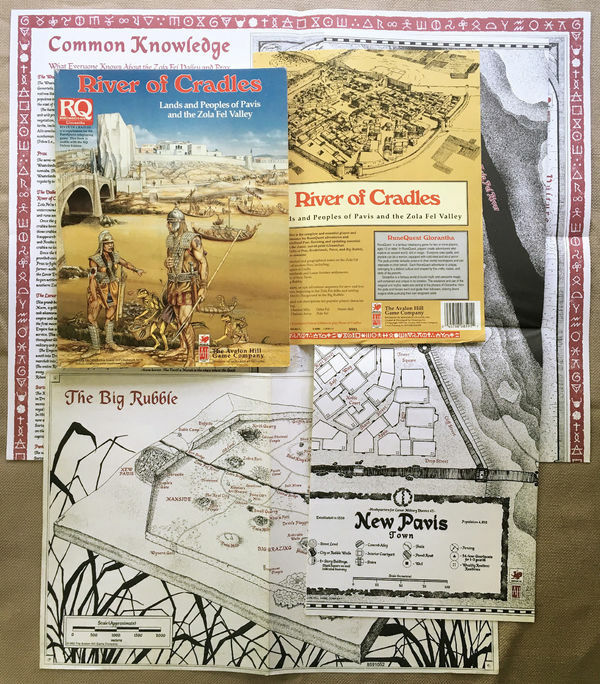 What a great addition to roleplaying, whether you are into Runequest or not. 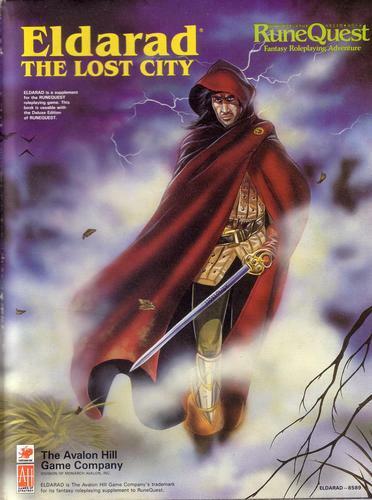 And do not get me started about Pendragon or I will bore you to death about my “Once and Future Campaign”, which I ran from 1985 to 2004 (with a one-year break for grad school), and in which I was happy to get Arthur on the throne but still not married to Guinevere. I am glad I collected pretty much all the Avalon Hill /RQ3 gear when I did as I doubt I would be able to afford it now. The four prax books – River of Cradles, Sun Country, Shadows on the Borderland and Strangers in Prax were highly lauded in their time. One Chaosiun supplement I would still love to get my hands on is the enigmatic? 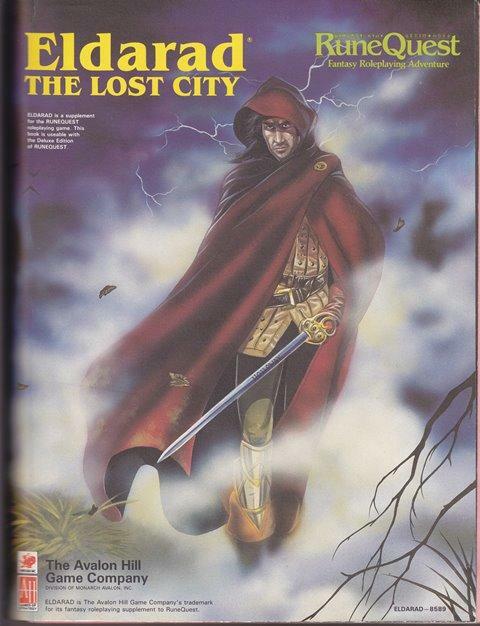 Box set called Quest World. > to 2004 (with a one-year break for grad school), and in which I was happy to get Arthur on the throne but still not married to Guinevere. I’d love to hear about it! Maybe I should have you do an article for us. > I am glad I collected pretty much all the Avalon Hill /RQ3 gear when I did as I doubt I would be able to afford it now. That’s the truth! Avalon Hill made a pretty big marketing splash with them, and there were copies everywhere for years, so it seemed they would never go out of print. But I made a concerted effort to get them all anyway, and I’m very glad I did. > One Chaosiun supplement I would still love to get my hands on is the enigmatic? 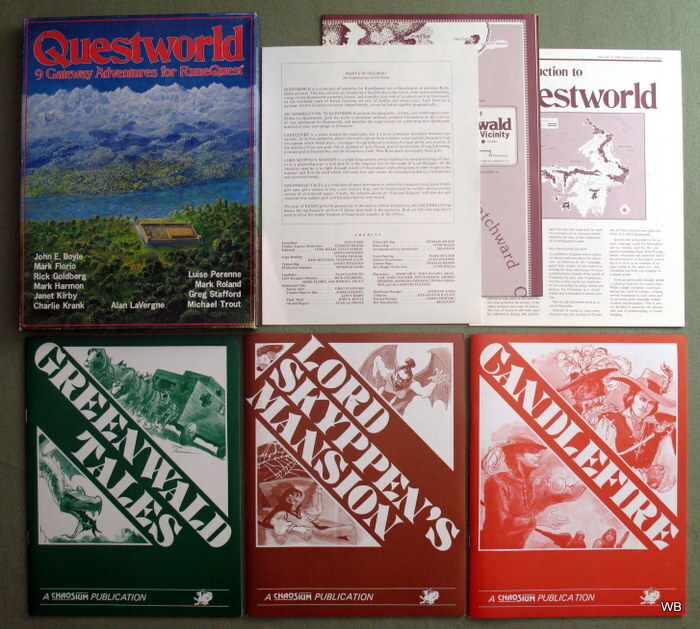 Box set called Quest World. 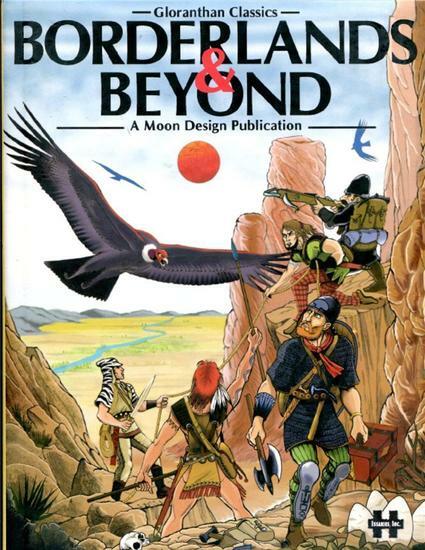 What was Questworld in the RuneQuest days? Thanks John, that is interesting re quest world. I had heard it was generic but the background makes a lot of sense. One can start drawing a line between the concept and RQ3’s Gateway and Alternate Earth initiatives. 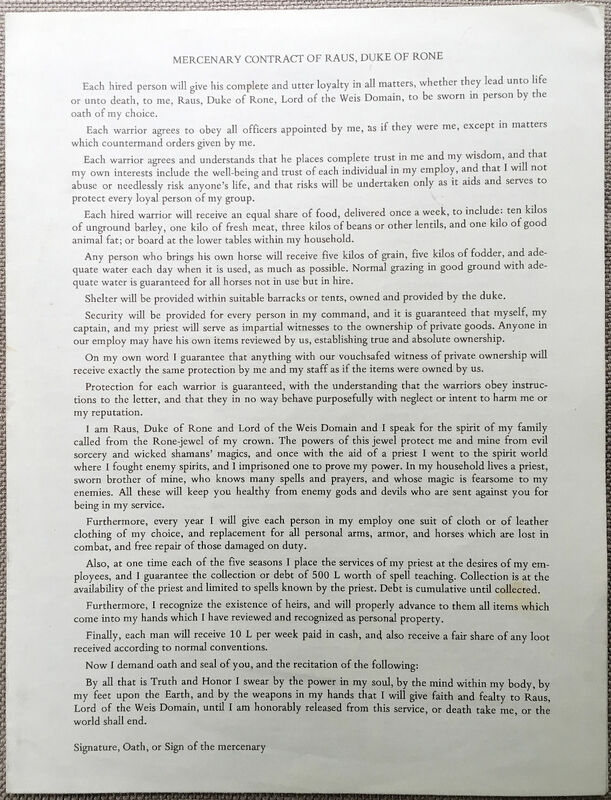 Some other lovely Chaosiun suppliments were the revamped Midkemia Press items, Carse and tulan of the Isles. Always handy for some on the spot background.